I have a good amount of experience with this rod. 425 grains overhead gets all the rod can reasonably give, and this coming from a guy who likes to load rods deep. With a hard load or push, the tip can get squirrelly and lose tracking (shows casting faults). It is a good rod worth the price but not a magic wand. I fished 65 days in 2018 and 52 of those trips were planned fly fishing trips. Only 2 trips out 52 in the entire season did I run into conditions so bad I had to switch to spinning gear due to weather. So, in my opinion, the Beluah 9/10 Opal or Exocett Surf 10WT is a great rod for 96.15% of days you will actually go striper fishing as an avid angler. This says a lot. It is like a lot of tackle choice scenarios. Is a person geared for the top 10%, or the “bottom” 90% ? Depends on one’s priorities. So I think the guys who are more focused on the 10% are "Visiting Anglers" to the striper coast. They are not fortunate enough to live within striking distance for a casual trip. This is their one big trip and they want to be able to fish no matter what weather conditions pop up during their trip. 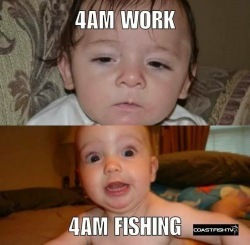 I have the same mentality when planning a spring steelhead trip now since I am no longer in striking distance its a once a year event if I get that lucky. So I have tons of contingency spots and I bring all types of rods and gear for dealing with high water if runoff hits during my trip dates or if flows are optimal or low and require stealth. "Come hell and high water" I am still going fishing. I just had my first majorly successful high surf fishing trip last October. I used surfcasting gear and I got in over a dozen fish in the teens for weight and four fish in the 20-30lb range. 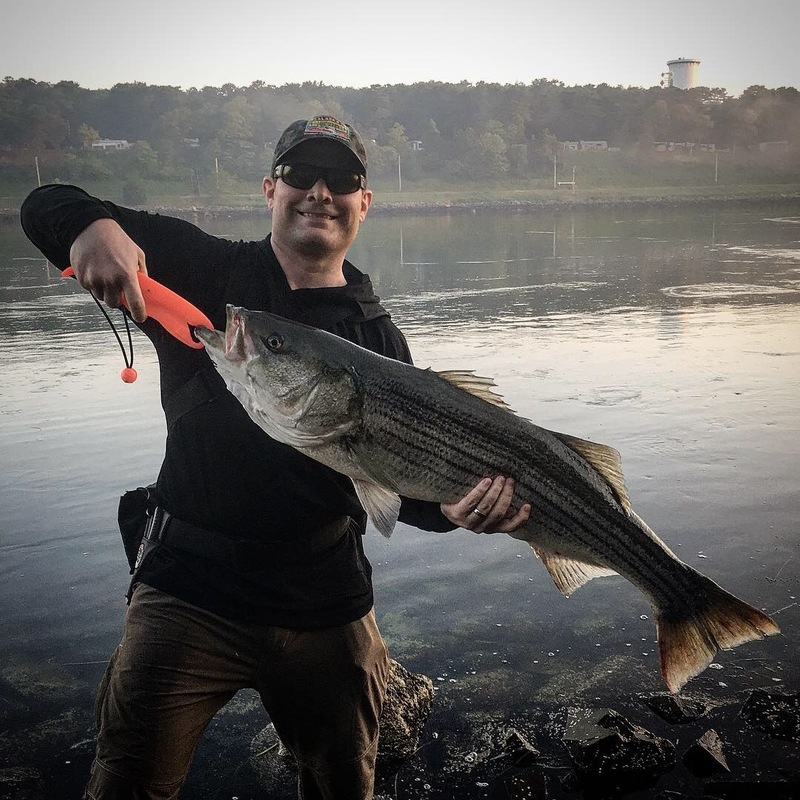 It really opened my eyes as to the hype about big surf and big stripers. With the gear, I currently have it's still hard to imagine fly fishing in those conditions but I did attempt it with some limited success, but that surfcasting trip is burned into my mind so I may explore this 10% gear down the road. So I think the other half of guys that want gear designed for that 10% conditions are like me and both surfcast and fly fish during a season so they know how productive big surf in out front conditions can be for big fish. 1. My thesis is I need to throw very large flies to target big fish. 2. I have two bad shoulders using a single hand rod was killing my joints. 3. I first attempted this using my 9/10WT 12.5 foot king salmon spey rod, but I found that it was very hard to get skagit casts to work well with 12" beast fleyes and other large flies of my own creation. I want to at some point go back and put more effort into trying to figure out how to throw massive flies skagit because it would really open up a lot more fishing terrain for me. 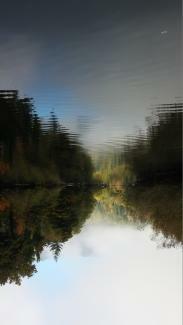 What I did at the canal at first was use long extremely sparse patterns and I could skagit cast those well. I am finding that large and sparse can work when fish are looking upwards, but where I am finding big fish is very deep near the bottom. I have found sparse flies do not perform as well as fly with a true mass that pushes water and creates a lot of disturbance specifically when fishing near the bottom at night. 4. Long rods and long heads are a bad idea for me because where I fish is always very tight. I am fishing jetties, rocky points, inlets with steep banks, steep slope rocky beaches with boulder fields, bridges, salt marshes with trees very close to marsh edge, and other tough casting scenarios. I need to throw huge flies a long distance with the minimum backcasting room. So the 30-foot head and 11' rod length are key as I can find little keyhole casting positions where I can water load and shoot a long cast out with only a 40' of room behind me. I use 3-4' leaders and I will literally pace out the distance to obstructions. If I pace out 40 feet well then I know I can get the cast-off. 5. I do find the extra 2 feet of length is helpful in lifting my backcast above rocks, marsh vegetation, or other low obstructions that are often completely surrounding my casting position. So the 11' length also has that advantage over trying to do this with a 9' 12WT. 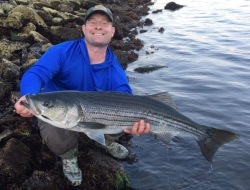 At the end of 2016, I was very frustrated finishing my fourth full season with no striped bass over 20 pounds and I wrote DJ Muller an email. 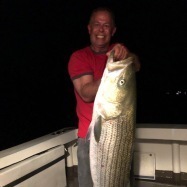 He was very responsive and those four emails from him really changed my mindset for striper fishing permanently. To quote him "Also remember that for big bass there has to be big baits available. Your catching smaller fish because there is small bait. A 30 pound fish won't chase a spearing." When you read most fly fishing books on striped bass the approach is to match the smaller forage. This was when I decided surfcasting held the answers to finding big fish from shore not fly fishing resources. So I bought DJ's books and Skinners books read them over the winter on my commute to work then at DJ's suggestion got an 11' surf rod rated for 2-6 ounces. Based off what I learned from DJ and Skinner's books I was able to get several fish over 20 pounds in 2017 to include my personal best estimated at 38 pounds at the Canal. 2018 was all about converting successful surfcasting tactics into fly fishing tactics to produce big fish on a fly rod. This is what brought me to the thesis of needing "Big Flies" and other than when I was on flats on Cape Cod or crabbing I threw nothing smaller than 8 inches long last year. The majority of the time it was 10-12 inch long flies. The results were I got 2 fish over 40 inches on the fly and 20 fish including those over 30 inches on the fly in 52 days of fly angling effort. One problem with big flies: YOU SKUNK A LOT MORE. Now one thing I kept from fly fishing was the concepts of selectivity and entomology. So for the past two seasons, I take time to figure out what is happening to bring the big fish into these areas. DJ is right big bait must be present, but small bait often is creating the conditions that bring in the big bait. An example is in July the baby silversides start showing up everywhere and if you want to catch schoolies you need a small 1.5-2 inch fly. Anything bigger will get ignored, but those same baby silversides are bringing in other predators like 3-4 inch wide mature green crabs, lobsters, American eels, cunner, and tomcod. Those large baits are not targeted by schoolies and are there to also prey on the same bait schoolies arefocusedd on. 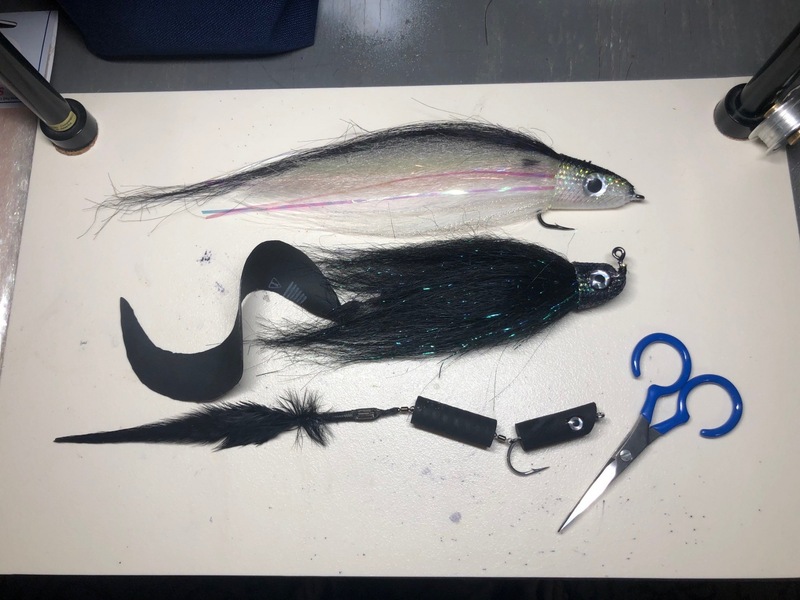 So finding the small bait density that produces a great schoolie night bight will allow you to catch big fish, but you need to match the big meals that a large bass is looking for not the small meal the schoolies are focused on. Also throwing a huge fly to avoid hooking schoolies keeps your fly in the water a very long time without hits. There are not a lot of these big fish so you fly needs to spend a ton of time in the water. When I started realizing this pattern I then found a school of fly fishermen that I could look to for inspiration: Musky anglers. So this winter I have been reading a ton about Musky fly fishing and fly patterns. Its been eye opening and I think these truly big bass 40-60 pounds are very similar to big 50 inch musky on public rivers. They are so smart because they have lived a very long time that your presentation has to be that much better to fool them. A lot to think about for sure. 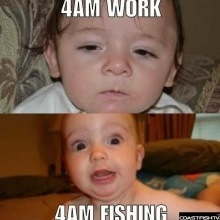 Two months left until Striped Bass arrive in my area so its almost game time. Dan you are right that us visiting guys are more concerned with weather than the locals. I only get a week at cape cod this year and there's no chance that I'm not fishing when I'm there. Nothing in the world short of a medical emergency will keep me off the beach. The TH is just so great for musky fishing, it's a total gamechanger. At the end of the day, heavy lines for monster flies are the ticket. I've been musky fishing my local waters and a 650 grain fast sinking line is enough to deliver a 13" very beefy musky bug to 100' for hours a day without an issue. No question they are the ones to look for for big fly mojo. Hopefully I will be blessed and connect with at least a few tiger Muskies this year. I thought I had tackled most of my freshwater objectives for North America, but now I need to add musky on the fly to my list. Probably not happening this year, but in 2020 I think I will make a musky trip to NY or VA as my one big annual trip. I will offer my parting words on this thread. I will have a DC 9wt, maddragon 2.75 plus an assortment of other TH rods including a Meiser rod (lighter weight then the rods in this discussion but a valuable data point) available for anyone who wants to play around with one before buying. You are welcome to come by and give them a try at a local field. Just PM me. Once April comes, I am down by the Cape a lot and we could meet there. I live about 30 miles west of Boston. I'm pretty sure if fly fishing means throwing 800- 1000gr lines I am picking up my surf rod and throwing plugs. What grains are you throwing on the daiwa? Can it handle a 600 head and 100 grain tip? I have no idea what line I will settle on for the Daiwa. The rod is supposed to come today. The next step is to strip it down and put fly components on it. It is snowing here right now so I don't expect to get out and give it a go for a week or two. Oh I thought you had it ready to go. I'm on the same path. Rod comes Monday and I'll just switch the first guide and cut off the reel seat for now. I have a few different skagit/switch lines in the 425 - 500gr range. I also need to put loops on some T material which I expect to add another 100gr or so. Just test cast it first, then decide if you want to tear it down and rebuild. You won't get the complete idea of how the end product could be but you get a good ballpark. You are obviously not a rod builder! :-) I have so many rods now that I keep building them and then give them away as I upgrade old ones. However to your good point, I plan on cutting of the stripper and reel seat and taping on fly stuff for testing. The 90 to 10 % debate is an interesting one. Let me toss this spanner in the works. 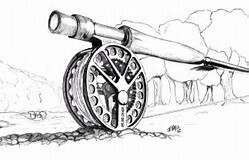 If we were talking a 10 wt single hander as a general purpose rod for beach and inlet fishing it would not be thought of as being in the 10% section. It would be viewed as a sensible choice and fit for purpose. In the same vein a TH rod capable of performing properly to requirements does not have to fall into the 10% sector. The issue is that currently in my experience most TH rods do not fit well in the 90% sector and that is the real problem. Many If related back to SH rods would be the equivalent of 8 wts. Not my first choice as a general purpose surf fly rod. I do own TH rods that could be rightly considered as sitting very firmly in the 10% sector but facts are they are overkill in practical fishing terms for the majority. Mostly we don’t need rods of this type to fish in up to the worst doable conditions that less powerful rods can handle. But there are guys who love to fish rods like this and not just fly rods. The reason I own rods like this is to find out stuff. I rarely fish them myself. I don’t have to theorise and make guesses. It takes out words like probably and maybe and might and possibly and opinion. Who wants to fish a 12 wt when a 10 wt is adequate. The key word is adequate , other is expectation. Until some experience is gained not easy to establish either. Generally I would rather be slightly over gunned than undergunned. The three lower cost rods I mentioned earlier include two that would be sufficient in stock form for most to use for beach and inlet (at least 90% of the time). 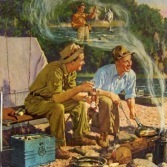 They are equivalent to 11w (Echo2 9wt scandi), and 12 wt (TFO 12x12) which was designed throw a 12wt tarpon line or 13wt general purpose salt-water line. They are 12'6' and 12' respectively. The third rod (Echo Swing 8wt 13'6" $249 new) would be a ~10wt in stock form if thought of as a single hand rod. The tip of the Echo Swing 8wt is too fast (thin, flimsy) and would need to be cut back a bit. But the rod has serious power. It would be in the 90% category if cut back a bit, maybe 8-10" (or to the second guide). The advantage for all three is no need to re-build much if anything. All can be found for less than $250. There is one other older rod that can be hard to find that makes the grade but I am not going to specify because if ever see one again it's mine! The 12x 12 is this a single hand rod line rating. If so then it won’t cut it for me. General purpose TH really do need to cast 550 grains with some left in the tank. Did you check out Anglers Roost spey rods Some nice M6 and M8 spey rod ( 4 pc. ) 11' 12' 13' and 14' for short money some with fighting buts?